You’ve just started your new company. You have a killer idea to change the world. You have some seed money from great angel investors and a beautiful, brand spanking new office space in the most desirable, hippest part of town. You post some ads on LinkedIn, Indeed, and CareerBuilder – you’re ready to hire some killer employees. You are even ready to pay market wages for top notch development talent even though you know it will burn through your seed money. A few weeks go by and you have a few interviews, but no hires. A month goes by and you are starting to get pretty nervous. You are losing time and fearful that somebody else is going to swoop into the market and snag your prospective customers. Six weeks go by; you’ve made an offer or two and have been declined. Eight weeks and still no developers. You are now in full on panic mode. Welcome to today’s economic environment, where there is virtually no unemployment in technology jobs and there are far more openings than qualified individuals. And, as if that news isn’t sobering enough, let’s add all of the perks that the top tech employers are leveraging — free lunches, unlimited vacation, private buses to work, on-the-job yoga and fitness classes, and don’t forget the nap pod. In addition, salaries for technology employees continue to increase at an unprecedented clip, along with the cost of benefits. And that’s not just in the Bay Area. The question then becomes, how do you build your team in this economic climate? It all starts with why. Why are you in business? What are you doing that is meaningful? Are you inventing a new technology, are you competing against a monopoly, are you helping kids, or are you building better lives? The core purpose behind your business is what really needs to resonate with potential employees. Many developers out there are looking to make their mark, to create something new, or to solve a problem that has personally impacted their lives. In seeking and hiring employees that are in it for the long haul, you should look for candidates who can and will benefit from the company’s primary mission, beyond financial compensation. Among that sector of the employee pool, the myriad of superfluous perks will be less meaningful in comparison to the opportunity to achieve their goals and do something they are passionate about. The reason your business exists is scratching an important itch for your customer and hopefully in your prospective employee’s life, and that is priceless, as many workplace surveys confirm. Developers are people too. People who are motivated by working for something they truly believe in. Those who are in it for the add-ons may not be the best employees in the long run anyway. By first understanding why you are in business and then building an environment that capitalizes on that intent, the search for employees will be less of a hunt. It will be easier to find people with whom your mission resonates when you are clear on what you are trying to accomplish. With that in mind, it won’t take you too long to find those first few passionate developers, and then you’ll have comrades in arms to recruit others with their infectious fervor for the work. 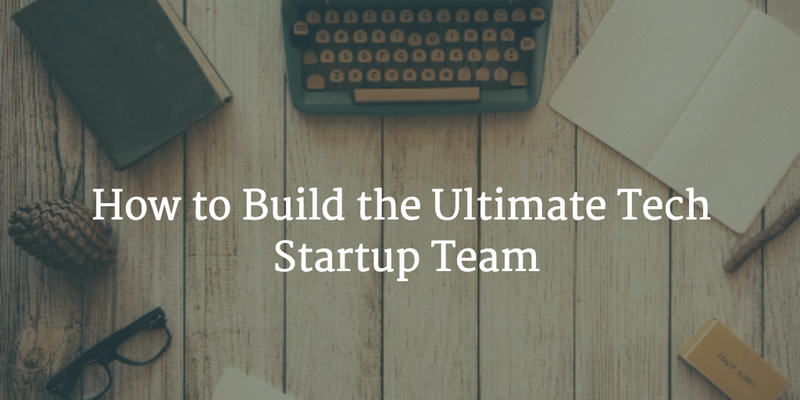 Building a top staff for your startup won’t be as hard, as long as you know your business and are willing and eager to enable employees to challenge themselves, innovate, break new ground and follow their truest ambitions.